5. Coquelin is a much better defensive midfielder than Matic. He has more technical ability and vision. 6. Mertesacker has improved a lot when compared to the start of the season. 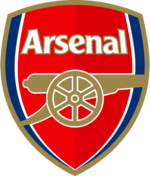 The long term injured players are back in the squad along with the returning international players and Arsene Wenger has difficult decisions to make on a number of positions. Lets start with the difficult ones. Walcott or Welbeck or Ozil for the one remaining flank position as I would expect that Alexis will start on the other flank. Walcott would have a good chance of starting because Welbeck has a problem with his knee picked up on international duty. Wenger said that Welbeck has a small chance to play. Really? A small chance or is he playing mind games with Rodgers? In any case, let's reserve judgement until we eliminate Ozil from contesting a start on the flank. I believe that Wenger will start Ozil but he will loath to move him on the flank as the player's recent fine form has materialised when he was deployed through the middle as a number 10. Which leaves the choice between Welbeck and Walcott. I believe that if Welbeck can start he will start. This is because Welbeck has been in very good form recently scoring goals against Man Utd and on international duty. Wenger will want his good form to continue. Additionally Walcott has lost confidence and has not convinced when he was given his chance by Wenger. This means that Ramsey will start on the bench. If he was fit I believe that Wenger will have rested Cazorla instead as Ramsey is picking up form and has also scored for Wales in Israel and for Arsenal at Monaco. You do not disrupt such form when one of your key players is performing so well. However he did come off in Israel before the end of the game. Taking into account his recent injury problems I believe that he will not be risked by Wenger from the start. The rest of the selections are straight forward aren't they?